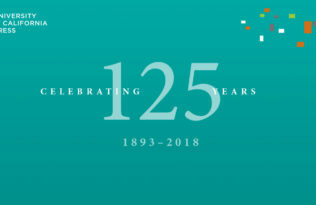 February 16th will mark the quasquicentennial of University of California Press, celebrating 125 years of scholarly publishing since our founding in 1893. From the start, UC Press has disseminated scholarship which has undergone a rigorous vetting process by committee, championing work that influences public discourse and challenges the status quo in multiple fields of study. Today, we publish approximately 200 books and 30 multi-issue journals each year that address society’s core challenges. 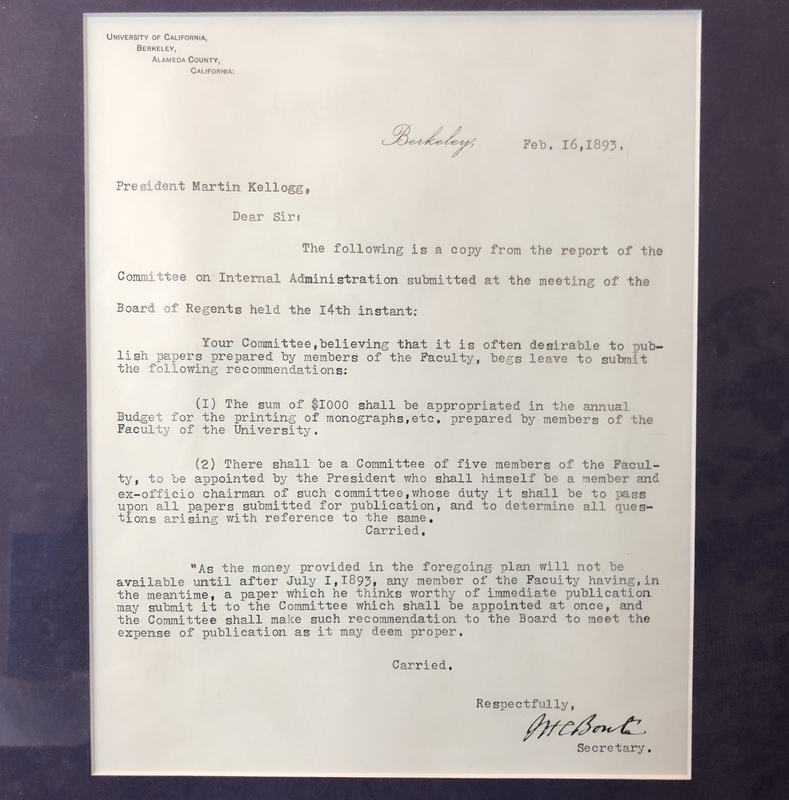 The following is a letter from J. Harmon Bonté, secretary of the Board of Regents, to Martin Kellogg, president of the University of California from 1890 to 1893, establishing the publishing program with a modest annual budget of $1000. 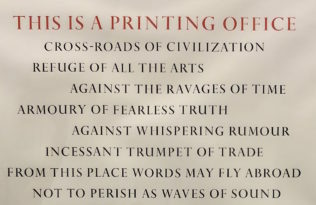 The framed letter hangs in the UC Press offices in Oakland, CA. Click to enlarge. The sum of $1000 shall be appropriated in the annual Budget for the printing of monographs, etc. 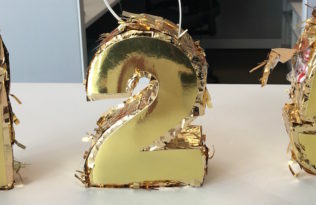 prepared by members of the Faculty of the University. There shall be a Committee of five members of the Faculty to be appointed by the President who shall himself be a member and ex-officio chairman of such committee, whose duty it shall be to pass upon all papers submitted for publication, and to determine all questions arising with reference to the same. “As the money provided in the foregoing plan will not be available until after July 1, 1893, any member of the Faculty having, in the meantime, a paper which he thinks worth of immediate publication may submit it to the Committee which shall be appointed at once, and the Committee shall make such recommendation to the Board to meet the expense of publication as it may deem proper.